and Requires No Special Sales Training. Pick Your Spots… The Rest Is On Us. 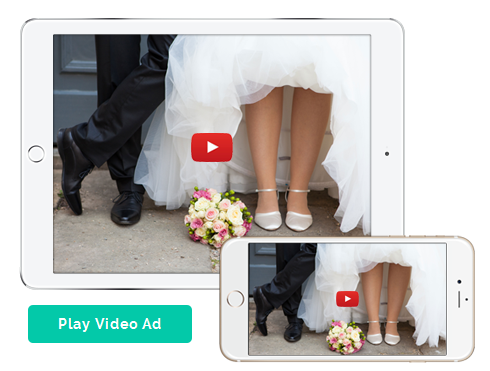 TAKE A LOOK… Select the above to play an advertiser’s video ad. This is a demo video that shows your clients spots converted into a video ad and explains the benefits that your stations deliver. Use demo video ads to help close business, renew contracts and increase on air spend. Close the business and we will convert the demo video into a full production video and publish on Youtube & Facebook. We work in concert with your advertiser’s broadcast message to produce a powerful video ad. Video will increase website conversions and pull in more orders and more money for advertisers. Your stations gain a competitive advantage, set the stage to grow digital revenue and deliver a more effective on air campaign for advertisers. A great prospecting tool and improved close rates. Improved renewal and retention rates. A unique capability that will differentiate your stations. With a cost of $125 and a market value of $800, sell the video. Post the vieo to your stations Facebook page and Youtube channel and charge a fee. Create listener email campaigns and charge a premium for video. Sell pay per click video ad campaigns on Youtube and Facebook.